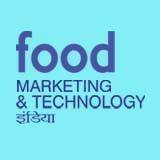 The Indian Edition of food Marketing & Technology, is an excellent opportunity to communicate with the Indian food processing industry. The Indian food industry has huge economic potential! The food sector has emerged as a high-growth and high-profit sector due to its immense potential for value addition, particularly within the food processing industry. food Marketing & Technology India is a complete food and beverage industry specific publication, which reaches out to the processed food industry. The magazine is circulated widely in India and has readers across the globe. Published in English it covers every section of the food processing industry, including articles on ingredients, packaging, processing, marketing, policy issues, new innovations, research trends and much more. As the only magazine in India covering the food processing and beverage industry like this, food Marketing & Technology India is the trusted knowledge resource of the market. The Readership includes factory managers, food technologists, product developers, marketing executives, corporate heads, research heads, food consultants, CEO¹s, Directors, industry experts and specialists. Take advantage of food Marketing & Technology India and get connected with decision makers of the food processed industry. Advertising in our magazine will ensure targeted audiece and garantes your brand the best advantage in the Indian market.